Yes, this happened over the weekend. Why you say? 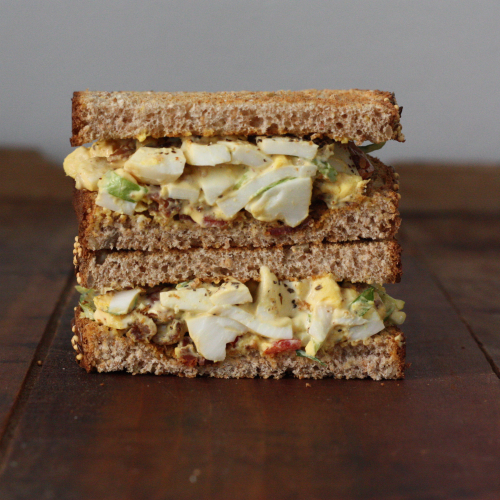 Because I wanted an egg salad sandwich and not just any egg salad sandwich — I wanted big chunks of egg, mixed with bacon, tomato, and Brussels sprout leaves. That, my friends, is why this happened. 6 fresh organic eggs (hard boiled) that come from chickens that skip through the pasture all day enjoying what chickens do. 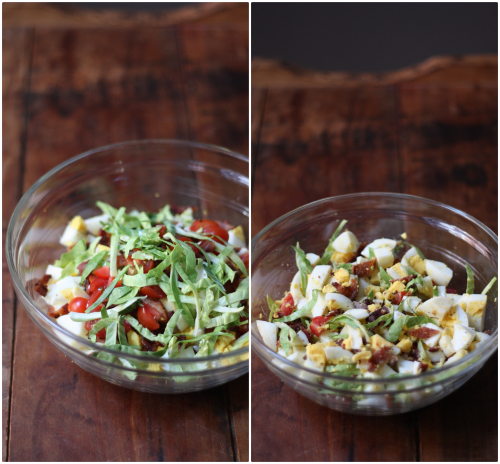 Trust me, this makes a difference in my egg salad. 4 slices of the best bacon you can find and most local butchers are doing some amazing creative flavors with bacon! Combine dry ingredients in a bowl and gently mix. Add the mayonnaise and mustard, again gently mixing. 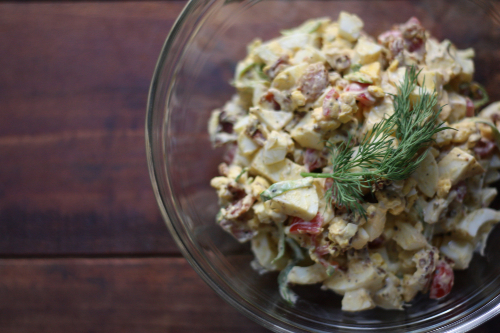 *Sprig of dill photo-bombed the egg salad. Do not skimp when adding to your bread — pile it on there! Finish with more salt and pepper to taste. Slice and enjoy. 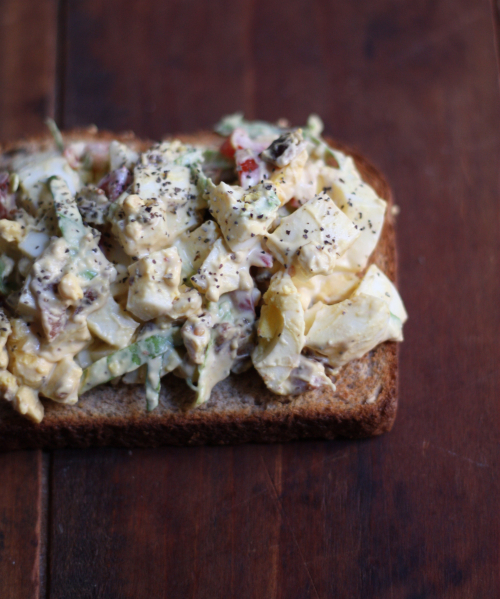 Come on, when is the last time you made egg salad? It's been a long time...I have to admit I've been craving some too. Looks tasty! 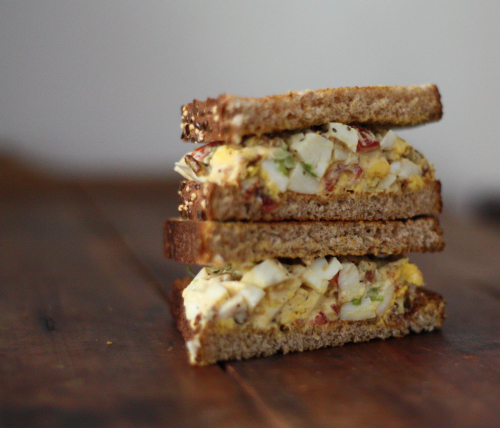 Same thing happened to me saw some egg salad and next thing you know I just had to make some! Exactly what happened to me! I don't think I've ever had brussels sprouts in any sandwich form, let alone in egg saald. 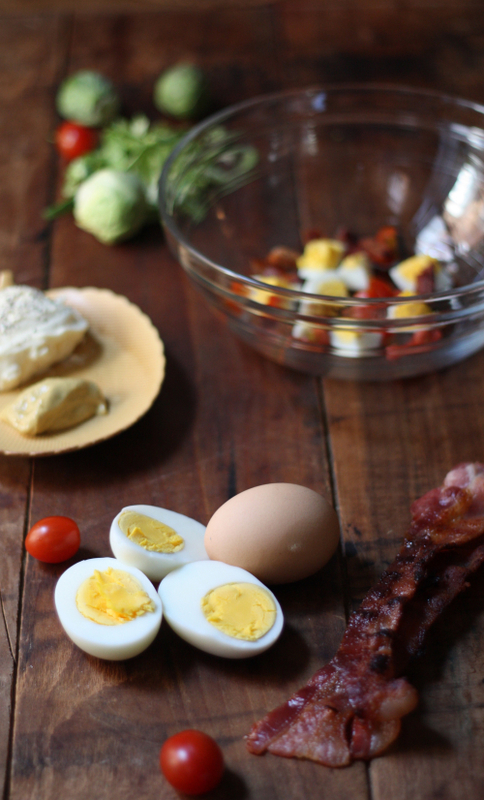 It sounds like a perfect combination, especially considering how well bacon and eggs go together! I was in the market saying how can I make this different and there were these Brussels sprouts staring me in the face! An idea was born!